The kitchen isn’t just a place where you prepare and cook your food. This is a place where you start your day, enjoy good meals and have good conversations with your friends and family. Therefore, there is no need to explain why it is nicknamed „the heart of the home“. Keeping this in mind, you will want to design it to accommodate all these activities, but also have a high-end look. If your kitchen isn’t equipped in such way, maybe it’s time for a renovation in order to make it stand out more. And the best part is - there is no need for spending a fortune to give your kitchen a sense of luxury and elegance! 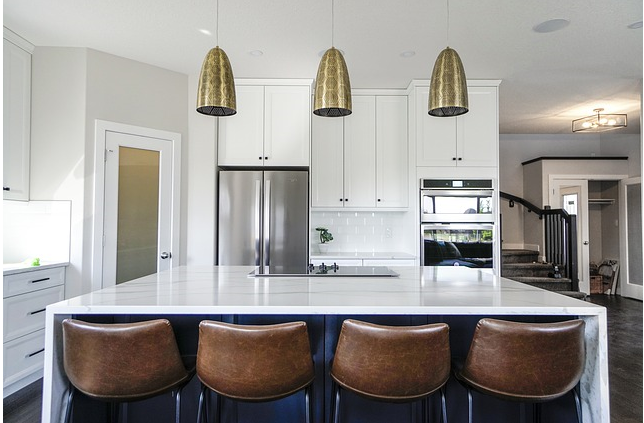 All you have to do is choose from many cheap updates that will make your kitchen look expensive and give your entire home a good facelift. Here are our top 5 picks for your improvement project. If you live in a big city, there is a chance your kitchen isn’t as big as you would want it to be. Add to this dark colored walls and cabinets, and you will get yourself a claustrophobic space in which no one will want to spend time.It’s time for a change. Say goodbye to your old kitchen and make your interior more elegant and luxurious only by changing its color. Repaint your walls - In order to achieve that appearance of a bigger space, you will want to repaint your walls. Always go for lighter colors! They reflect light and also make those scratches on your countertops and cabinets less visible. Redo your kitchen cabinets - Are your kitchen cabinets old and unattractive? If you think you will have to buy new ones, you are wrong. Just buy some paint and varnish! Painting your cabinets is one of the best updates that will make your kitchen look expensive and polishing them will provide that new kitchen shine. Extra tip – paint your appliances stainless steel. 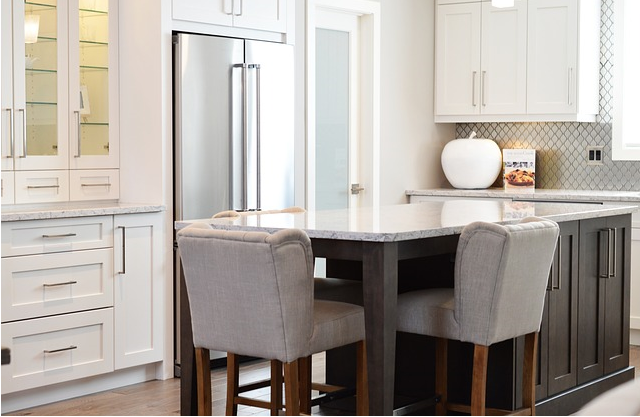 If you have always wanted to have stainless steel appliances but never had enough money, here is how you can have them and also stay within the budget. Stainless steel will give the appearance of elegance. Brighter colors make for a larger space. Brighten up your kitchen. For creating a bigger space, repainting your walls and cabinets won’t be enough. You will want to replace your old lighting with new, stunning light fixtures. They come in various shapes and sizes, which is why you can easily find the best one for your kitchen. Go for the unconventional ones for that sophisticated look. Hang them over the breakfast nook and you will get yourself a great conversation piece. They don’t have to be expensive to attract attention. If you want to stick to your old lights, remember to replace light bulbs with LEDs. LED lights are a little expensive, but are a good investment because they last longer and spend less energy. And let’s not forget, installing LEDs will help you create an eco-friendly home. Which is the home of the future. Bring some light into your kitchen. You don’t have to break the bank to have good lighting. Now that you got yourself a spacious and a bright kitchen, it is time to decorate it. But, this is where most of us make big mistakes. Having many decorations will create clutter, and not having any will make a space soulless. Therefore, you will need to know how not to overdo it, but still give your kitchen that personal touch. And let’s not forget, having fewer items will be like a blessing if you decide to relocate at any time in the near future. You will prepare your belongings for transport without having to spend too much time on it. So, what are the best decoration updates that will make your kitchen look expensive? Display shelf - Use those empty spaces on your kitchen walls and create a small, but attractive display shelf. Plants - Light colors go great with shades of green! And you know what? There is no way you can have too many plants. They are useful and are a great update to any room in your home. If you like to cook, you will be happy knowing your favorite herbs are within arm’s reach. Centerpiece - Having a table centerpiece can transform the whole room and change its personality. A good centerpiece can transform a casual meal into a special one. All of you who feel crafty enough, here’s an idea! Try to make one yourself and amaze your friends with your new centerpiece, and your skills, too. 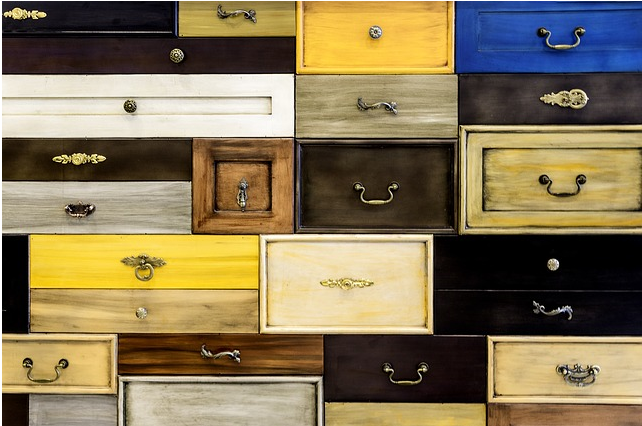 Your freshly painted cabinets and drawers won’t look as expensive if you forget to replace your old handles and knobs. If you have been living in the same home for a longer period of time, they are probably damaged and worn. Most of us forget that small details can make a big difference. Installing new handles and knobs is one of the updates that will make your kitchen look more expensive. The devil is in the details as they say. Get the devil out of your kitchen by getting new handles and knobs. Not all of us can afford to buy granite kitchen countertops. There is a good alternative to them - wood countertops! One of the main reasons they became so popular is their functionality. First, they create a rustic or industrial vibe which is in high demand today. Second, if you have a wood countertop, you don’t need a chopping board. The whole countertop is your chopping board! And third, they require minimal maintenance. If you end up with scratches on it, just sand it and it will look like nothing happened. 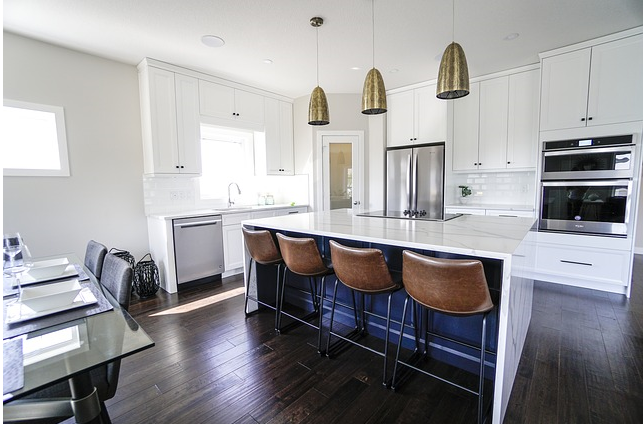 There is no need to spend a fortune on a remodeling when you can always go for cheap updates that will make your kitchen look expensive. Following these five tips, you will give yourself a brand new, high-end kitchen which everyone will love. You’ll spend a lot of good moments in it and you will have a kitchen worthy of the nickname “the heart of the home”.